The Barbecue Set are made of solid stainless steel, with ergonomic long handles avoid hands getting burned.They are super sturdy, will not get bend or break like others.Super premium grill tool utensils set including Bbq Tongs,spatula and forks. Tongs with serrated edge helps you grip the food easier.With the aluminum case, you can show your profession as a bbq master.An excellent set for grill lovers or on barbecue competition.Came with a well made gift box.Best bbq sets for men. Great gift idea for father's day,grill lovers etc. 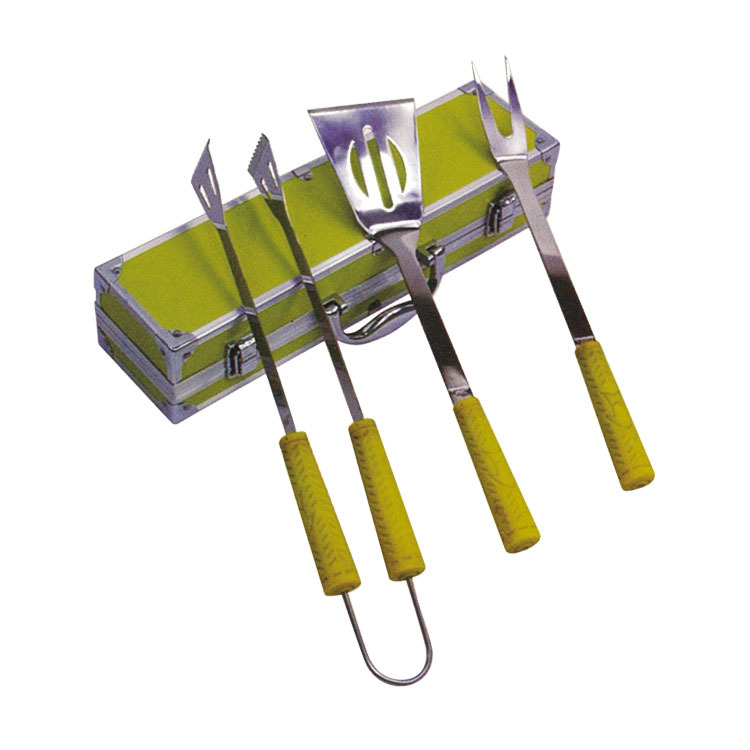 Looking for ideal TPR Handle Bbq Set Grill Tools Manufacturer & supplier ? We have a wide selection at great prices to help you get creative. All the 3pcs Bbq Tools Set Grill Tools are quality guaranteed. We are China Origin Factory of Aluminum Case BBQ Tools Set. If you have any question, please feel free to contact us.